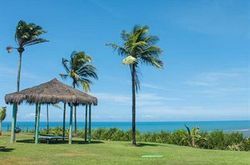 Property Location When you stay at Vela Branca Grand Hotel in Porto Seguro, you'll be near the beach and minutes from Porto Seguro Old City Center and Discovery of Brazil Marker. 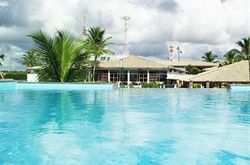 This hotel is within close proximity of Porto Seguro Museum and Porto Seguro Cultural Center. Rooms Make yourself at home in one of the 125 guestrooms. Complimentary wireless Internet access is available to keep you connected. 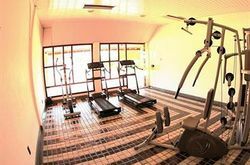 Rec, Spa, Premium Amenities Take advantage of recreation opportunities including an outdoor pool and a fitness center. Dining Enjoy a satisfying meal at a restaurant serving guests of Vela Branca Grand Hotel. 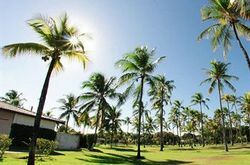 Si van a estar de viaje por Porto Seguro no duden en considerar alojarse en Vela Branca Grand Hotel. No se van a arrepentir! Estuvimos de viaje en Porto Seguro y nos alojamos en Vela Branca Grand Hotel. Todo estuvo bien. Recomendable!